Finding out that I had gotten accepted into Carleton College was one of the best feelings I have experienced. At the time all I thought about was how this was a great opportunity, all the other opportunities that would come with it and the new experiences. Honestly, I also had certain expectations of how the experience would be – basically all good. I didn’t think about how hard the transition would be, especially being in a new country far away from my family and friends. 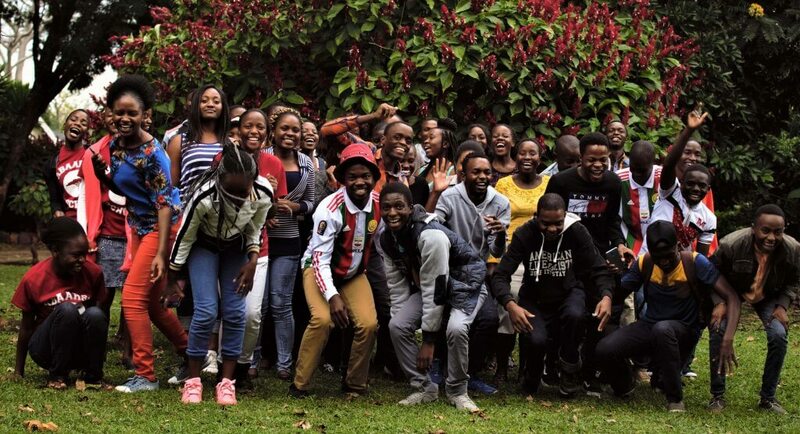 Fortunately, pre-departure orientation in Zimbabwe made me start to think about such issues, but I still thought like most challenges life had thrown my way, if I worked hard enough it would be great. Getting on a plane for the first time and traveling for hours by myself made me feel confident that I could face almost anything. Unfortunately, my longer flight was delayed, which meant I missed my connecting flight from Chicago to Minneapolis, arrived at midnight and had to take a taxi to campus. Obviously, I lived through the no so wonderful start. International Student Orientation was amazing, I was excited to get to know classmates from different cultures, while being conscious enough to not offend anyone. I believe the eagerness I had during ISO helped me foster relationships with some people that are my friends now, who I feel like I can count on. New Students Week, however, was frightening and emotionally exhausting. I felt overwhelmed because they were a lot more people on campus and unlike ISO it was as if there was just one whole American culture that I was not a part of. Unfortunately, I reacted by starting to exclude myself. Rather than try to navigate the onslaught of American freshmen, it seemed easier to stay in my room and watch movies or YouTube videos fearing I would not be able to belong. I didn’t even really want to spend time with the new friends I had made during ISO. Nothando, third from left, singing with the Knightingales. Fortunately, I knew that if I stayed in that bubble, I would have had a terrible time in college. I texted a friend I had made, and we hung out, I started being more open, genuine and even willing to get to know new people. I started attending more events, playing games with floormates in the lounge and even introducing myself to relative strangers. I wasn’t easy but I knew I needed to put more effort given my obvious international differences. Something that made the transition easier was learning not to compare my acculturation process with anyone else’s. It took me time to get comfortable, but that’s fine. I joined an acapella singing group and the African and Caribbean Student’s Association. Joining clubs helped my process because I was able to make friends with people with whom I shared common interests. My singing group, the Knightingales for example, became a supportive community who have just wanted to be there for me. ACA felt like a safe space away from the rest of Carleton, where I could be myself in a pan-African community. I thank God because I have also been able to meet an amazing group of women who have become my family away from home. The transition to college is hard for many, add a whole new country in the mix and it can become overwhelming, as it was for me. It’s important to recognize that what you are going through is rough, but that all you need to do is step out of your comfort zone and put more effort to grow and find your way. This journey is different for everyone; some adjust faster and other do not, either path is fine as long as you keep exploring and finding a way to form community. One of the lessons I took away was not to compare my process with anyone else’s, but rather todo my best while respecting my personal journey. I still have ups and downs, but that’s life. I also can comfortably say I have made a new home at Carleton. Nothando Mangena is a first year USAP student at Carleton College who attended Monte Casino High School in Zimbabwe.